Peach and Sea Green Designer Classi..
Beads Work Banglori Silk A - Line L.. Beige and Red Satin Silk Kameez Sty..
Green and Navy Blue Banglori Silk D..
Embroidered Work Silk Trendy Leheng..
Art Silk Embroidered Work Trendy Le..
Beads Work Cream and Rose Pink A Li..
Banglori Silk Beads Work A Line Leh..
Embroidered Work Crepe Velvet A Lin..
Embroidered Work Designer Classic L.. 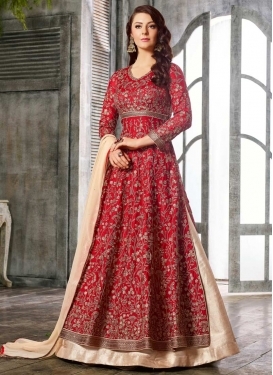 Satin Silk Embroidered Work Trendy .. 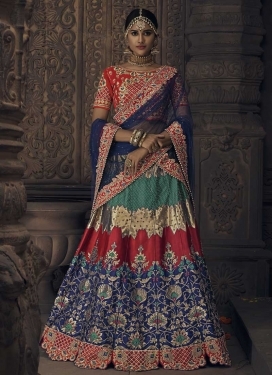 Cream and Navy Blue A Line Lehenga .. 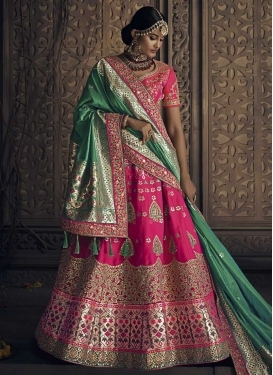 Satin Embroidered Work Trendy A Lin..
Beads Work Trendy A Line Lehenga Ch.. 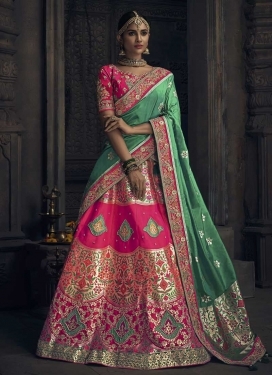 Satin Silk Designer Lehenga Choli F..
Art Silk Aari Work A Line Lehenga C.. Beige and Mint Green Long Choli Leh..
Why settle for mediocre fashions you can be exceptional? The most memorable day of your life is supposed to be filled with only the things that bring your heart as much joy as it can possibly hold. 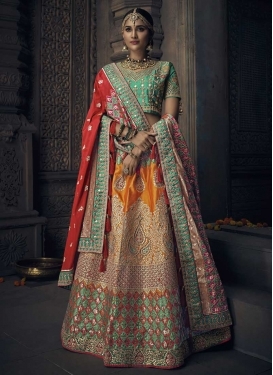 Let our collection of wedding lehenga choli add to your abundance of pleasure with gracefully designed attire that can make the most dismal rooms sparkle. 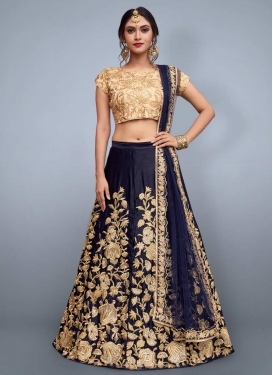 From enchanting beads and patch work to dazzling sequins and eclectic patterns, there's a large range of designs present in this Wedding lehenga choli selection which will make the decision-making process challenging. FashionWebz is your premium source of online Indian couture that never fails to charm its way into the hearts and wardrobes of its loyal patrons. Find out why we remain number one when it comes to providing a model of excellence on the fashion scene. Our extremely affordable prices and helpful customer support representatives enhance our attractiveness.